Randy is a true California native. Born and raised in Orange County, Randy still resides there with his wife of 20 years and their two children. With over 25 years of experience in the insurance industry, Randy is still dedicating precious time to further his industry knowledge as to better serve his valued clients. 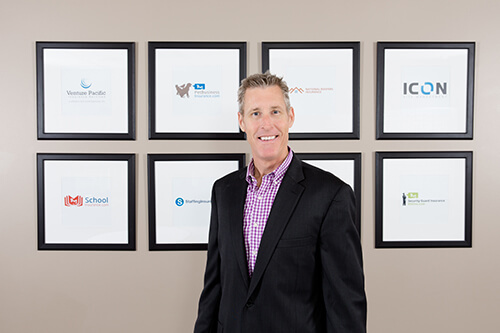 In 2006, Randy completed a dedicated industry study and attained a designation of “Certified Insurance Counselor – CIC” a goal that has only been accomplished by about 20% of insurance professionals. In his spare time, Randy enjoys time with his family and friends. Randy also enjoys learning and performing the art of magic and is a 20+ year performing member of the world famous Magic Castle in Hollywood, CA. As a matter of fact, Randy has helped many of his clients with fund raising events, awards & banquet dinners, etc. by volunteering his time & talent to help them promote and achieve their fund raising goals. Randy believes that strong business relationships are formed by helping others, reaching out a giving hand and making yourself available for their needs. He looks forward to working with you as well.